Early 1970s black and white video games are said to be from the Bronze Age arcade era. Pong and Space Invaders are essentially the bookends. 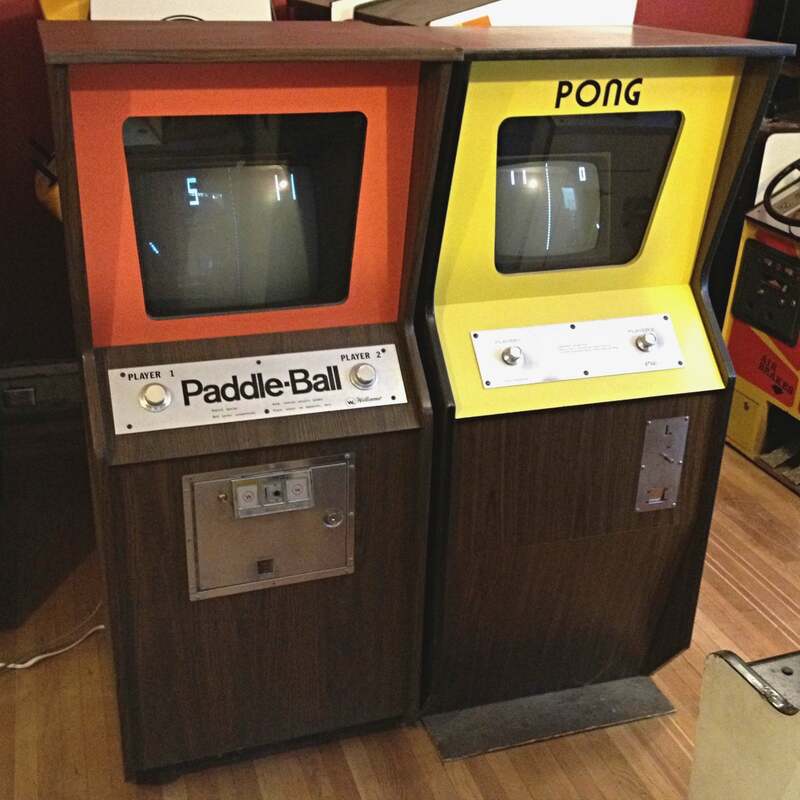 Primitive and prototypical to the 1980’s classic arcade games that followed, these games pioneered video game technology and idioms. Bronze age arcade video games introduced metaphors that are still in use today. Important video game concepts like first person play, character sprites, scrolling screens, and high scores were all forged back then. Ball and paddle, maze, snake, driving, gambling, trivia, target shooting, and sports are among the themes that emerged. Technology-wise this time made the jump from discrete logic to central processors. Many games mitigated their lack of computing power with wild sound from analog circuits, unusual controls, color gels, striking reflected backgrounds, and often a reliance on the unpredictability of the other player’s reflexes. In introducing the public to computer technology, human interfaces such as joysticks and trackballs were developed. As you will see, there is more to the Bronze Age than initially meets the eye. Not only are these games historically significant; they also stand on their own as simple, beautiful, and enjoyable entertainment. I hope to share my knowledge of 70’s arcade video games including pieces from my private collection.